I'm not sure who's idea of a sick joke this is, but I have been waiting for Skype Mobile for quite some time. I was very excited to get it on my Droid today. You see, I am traveling internationally, and my Droid is practically useless outside of the US. I do use Skype on my mac to make phone calls to other Skype users and I pay for Skype Out calls that let me call any phone number I need. So, I thought Skype Mobile would at least let me handle all my outbound calling needs as long as I have a Wifi connection. Imagine my surprise when I learned that Skype Mobile doesn't use Wifi! So instead, I have to be on Verizon's phone network in order to use Skype Mobile. I'm dead in the water without Wifi support. This drawback alone makes it useless for me, and I eventually will have to drop Verizon to go with a GSM-based phone so I can use it when I travel. So what happens when I get back to the US. 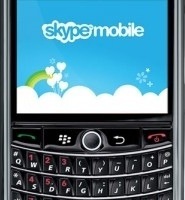 It seems like I should be able to use Skype Mobile to make some of my international calls at a very low cost, correct? Well, not quite. In addition to the low rate I am charged by Skype Out, all the minutes I use are now impacting my Verizon plan. Bottom line, without Wifi support, Skype Mobile is a toy. I haven't been able to try to use it yet even though it is on my phone. (It fails to start because I am in Saudi Arabia and not on the Verizon network at the moment.) I did watch the video and learned that there is no mention of being able to make Skype Mobile to Skype Mobile calls; only Skype Mobile to Skype Desktop. Can anyone confirm this?